Having a particular immune system marker greatly increases a person’s risk of developing liver failure in response to a common antibiotic, a new study reports. Drug-induced liver injury accounts for more than half of the approximately 2,000 cases of acute liver failure in the United States each year. Most of this is due to acetaminophen (Tylenol ®), but a range of other drugs can also present a danger. 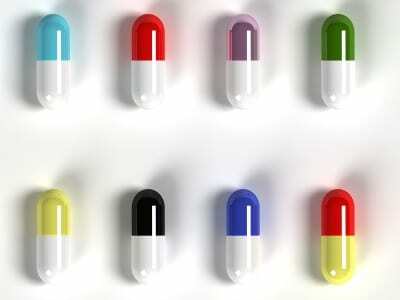 One of these, flucloxacillin (also called floxacillin), an antibiotic commonly used to treat staphylococcal infections, leads to liver failure within the first 45 days of treatment in an estimated 8.5 out of every 100,000 people taking the drug. So far, it has been unknown what makes someone more or less susceptible to flucloxacillin-induced liver damage. But now an international team of researchers has shown that an immune system variation may be the key. Their results, published online yesterday in the journal Nature Genetics, show that having one or two Gs at increases the odds of drug-induced liver injury in response to flucloxacillin by at least 45 times compared to having two Ts at this SNP. A G at indicates the presence of an immune marker known as HLA-B*5701. This same marker has been linked to hypersensitivity to the HIV drug abacavir, although the researchers say that adverse reactions to flucloxacillin and abacavir may be the result of different biological mechanisms. HLA-B*5701 is usually found only in people with European ancestry. Approximately 5% of people in this group have one or two copies of the marker. The authors of the study speculate that because people with Asian and African ancestry rarely carry HLA-B*5701, their risk for drug-induced liver injury in response to flucloxacillin might also be lower, although there is not data for this yet. The authors conclude that testing for HLA-B*5701 in people suspected of having flucloxacillin drug-induced liver injury could be useful. If prompt testing were available, they say, alternative drugs such as cloxacillin and dicloxacillin could be substituted for flucloxacillin. According to their data, an estimated 85% of cases would prove to be HLA-B*5701-positivie. But, they warn, testing for HLA-B*5701 before administering flucloxacillin would probably not be clinically useful or cost-effective because only one out of every 500 to 1,000 people with the HLA-B*5701 marker is predicted to have liver problems when treated with the drug.